Are you planning a long-distance move soon? An interstate move or moving across the country can be a very different experience as compared to moving to across town. This is why you should plan way ahead of time. Moving has its own share of difficulties, but make sure you understand the challenges of a long distance move before you pack up and hit the road. Here are some strategies that can help you implement a long distance move successfully. After all moving is an adventure and you can enjoy it to the fullest if you have a plan in hand. To be honest, long-distance moves are anything but easy. They are almost like a major life event, so the best way you can ensure a smooth move is to do your homework at least 10-12 weeks before the actual moving date. This way you won’t forget anything at the last minute. Analyze the things you plan to move. The more stuff you have, the more time you’ll need. Here’s a detailed moving checklist that can help you prepare for the upcoming move. Before you pack, it is recommended to go through your stuff and sort the things you really need. Not only will it save time during packing and unpacking, but it will also save you money as most movers charge you according to the weight of total items. Distribute your things in three piles, the ‘keep’ pile, ‘donate pile’ and ‘sell’ pile. As the name suggests, if you have something useful, keep them. Donate the rest of the things you don’t see yourself using anymore. Try to sell some of your possessions, such as old gadgets, online or at a garage sale to make extra money. Setting up a budget before you make the actual move is important. Most people don’t realize how expensive long distance moving can be, and this why it is better to be prepared than end up in a debt. There are budget templates available online that can make things easier for you and your wallet. Keep some cash ready for unexpected costs. It can take a while for you to get the new home up and running so add these hidden costs to your budget. Make sure you hire a professional to make moving stress-free. Pick a company that will treat your stuff as their own. An in-home moving estimate means that a representative from the moving company will drop by your home to perform a visual survey of your total items. 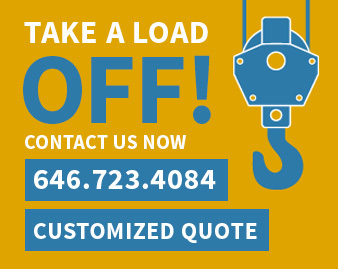 It may not be an accurate price, but it can still give you a feel for shipping companies NYC and their rates. Once you have a couple of estimates from different companies, compare them to see which one suits your budget. It’s now time to finalize your moving company. Once you have decided on the moving date and the company, it is time to pack your things up. You can save a lot of money by getting packing materials and supplies yourself. Put your things away and label them after you finish packing each box. You can even color code the boxes so it is easier to sort them during unpacking. A few extra minutes spent during packing will help you save time when you unpack items at your new location. Before you’re all set to move, remember that all long distance moves are regulated by The Federal Motor Carrier Safety Administration. Read their rights and responsibilities booklet which is available online, to know about your rights and the company’s responsibilities. Make sure you decide the correct valuation of your belongings before Moving into a new house. Movers are supposed to provide compensation if items get lost or damage during transit. You can ask your mover to guide you more about valuation and its details so you make the right decision.